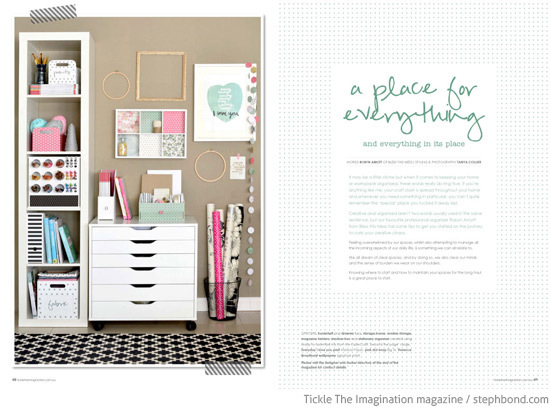 OMG I was soooo excited to see Little Village in Issue 20! I've been following Jo for years and love her beautiful handmade house pillows. 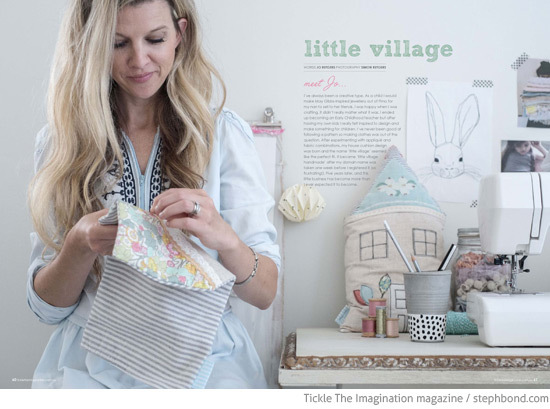 (see Bel from Petite Vintage Interiors style with the Little Village teepee pillow in this post). 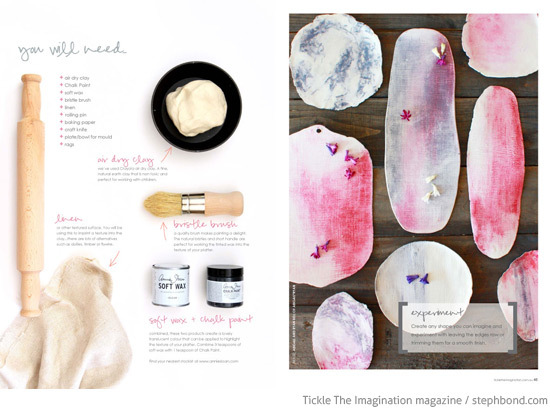 Jo talks all about her creative business and shares her work space. 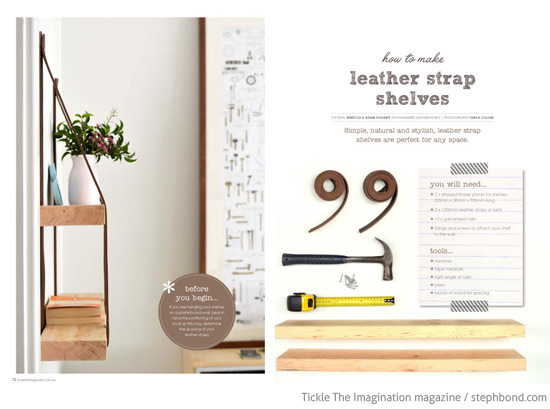 Another article that I was excited to read was the DIY tutorial to make leather strap shelves - something I have been meaning to try for ages. Can't wait to try this. 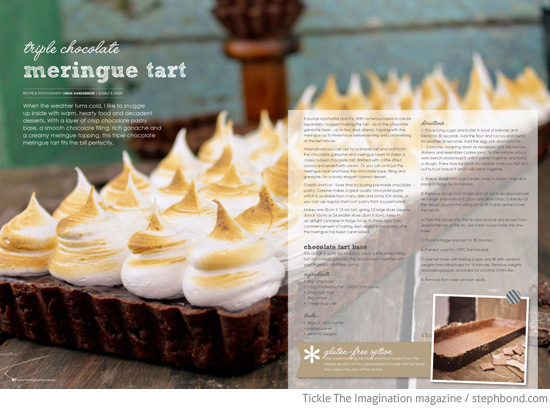 Then a bit of deliciousness with the recipe for this triple chocolate meringue tart! This one is very close to my heart. 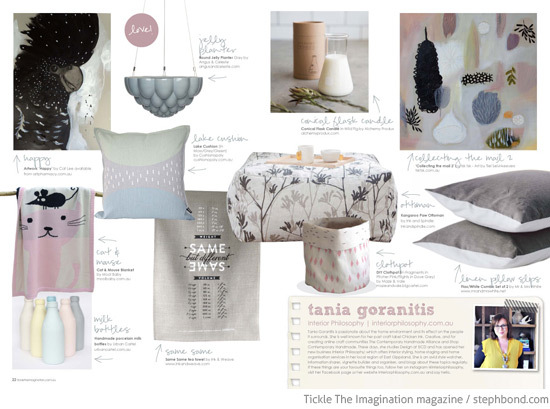 Editor Tanya and designers Tania Goranitis (Interior Philosophy) and Maya Anderson (House Nerd) created design boards showcasing some of their favourite Australian designers and makers. Check out that gorgeous black cockatoo artwork by Cat Lee on Tania Goranitis' board! Love! 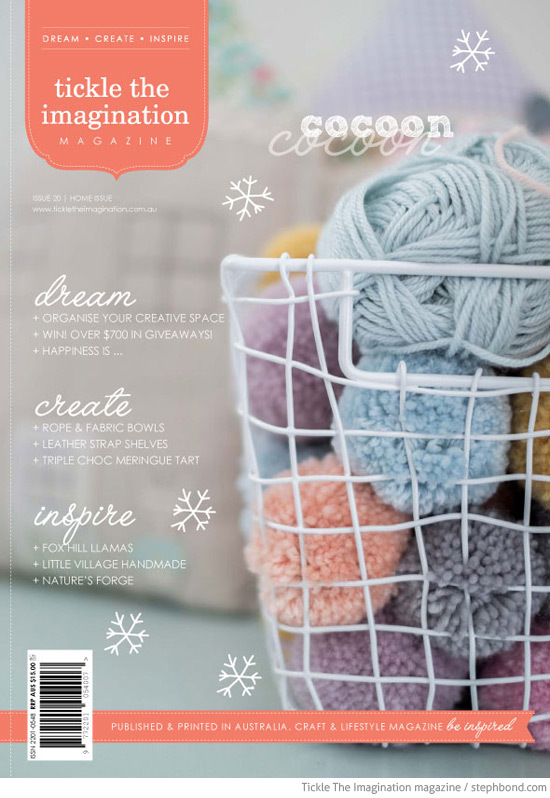 ...the lowdown on buying handmade, an amazing feature on llamas and their beautiful fibre, and more. 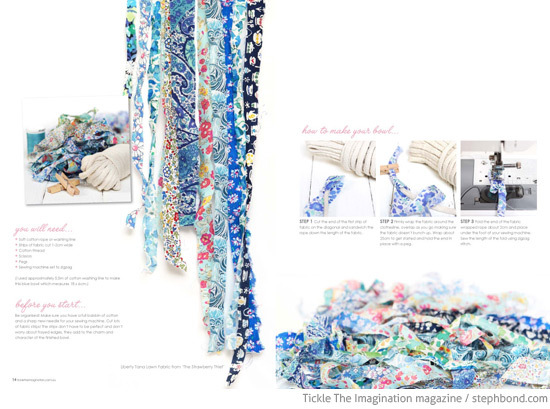 You can find Tickle The Imagination magazine in the online store as well as stockists and newsagencies around Australia. 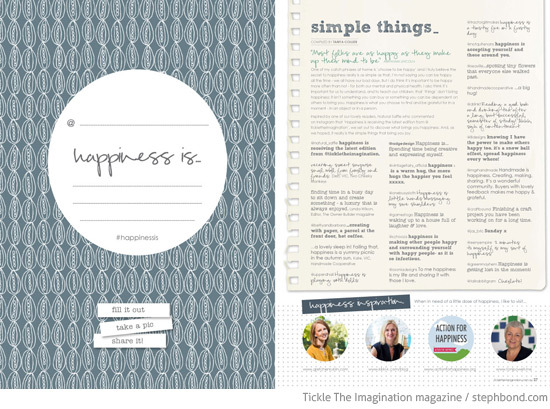 Simply pop ‘bondville’ in the promo code when you subscribe to Tickle The Imagination magazine to receive a bonus back issue – that's a total of five issues plus a free gift for just $59. 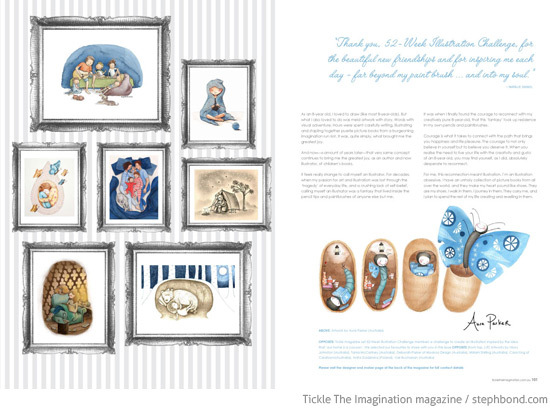 Thank you Tickle The Imagination for being such a great Bondville partner and sponsor, inspiring all of us to keep on creating.